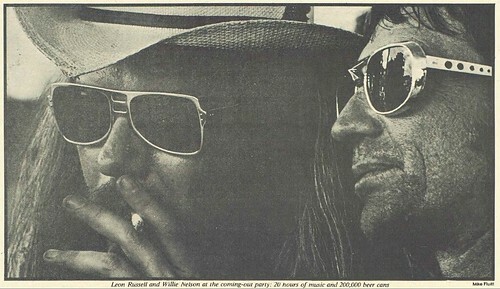 On April 2, 1979, Leon Russell makes his first appearance at the Grand Ole Opry House, playing piano with Willie Nelson. Crystal Gayle was in the audience. This entry was posted on Monday, April 2nd, 2018 at 6:01 am and is filed under This Day in Willie Nelson History. You can follow any responses to this entry through the RSS 2.0 feed. You can leave a response, or trackback from your own site.